St. Petersburg. June 29, 2017. The second day of the VIII International naval salon in St. Petersburg. In a picture: in working hours of the International naval salon. If you ever wondered why hats in the army are so big and why Russian soldiers march to SpongeBob Squarepants, look no further. Why are Russian ceremonial army hats so big? Recruits seen at the outfit room before leaving for the army service from a Kazan conscription office. There are a couple of reasons for ceremonial hats being so big (and no, it’s not because Russians have oversized heads). First of all, they need enough space to accommodate Russia’s military heraldic crest, which is bigger than the Soviet red star. 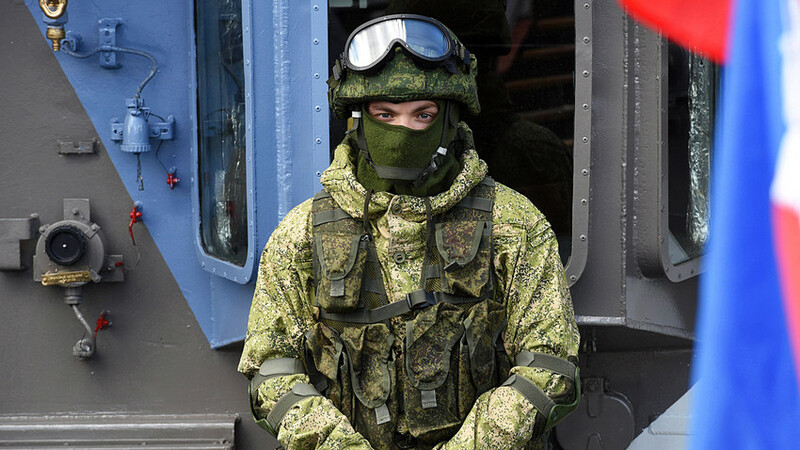 Secondly, the headgear is large because the designer who won the contract to design the new military uniform back in 2008 decided to emphasize fashion over practicality. Why does the Russian army march to SpongeBob Squarepants? Because fighting bad guys and building missiles is not the only thing we do here. People do have a sense of humor and a good imagination, even soldiers. Enjoy watching this other masterpiece by Russian troops. Why do Russian soldiers wear striped shirts? In the West, it’s called the Briton shirt, but in Russia we call it the telnyashka. They were first introduced in the mid-19th century. Legend has it that in 1868, the Grand Duke and Admiral Konstantin Nikolayevich Romanov were reviewing the crew of the frigate General Admiral. All the sailors came out wearing striped shirts, which they had purchased in Europe and were very popular - so much so that a few years later in 1874 the Duke Prince asked the emperor to sign a decree formally incorporating the striped vest into the sailors’ standard outfit. Click here to find more about the telnyashka and why paratroopers started wearing it too. 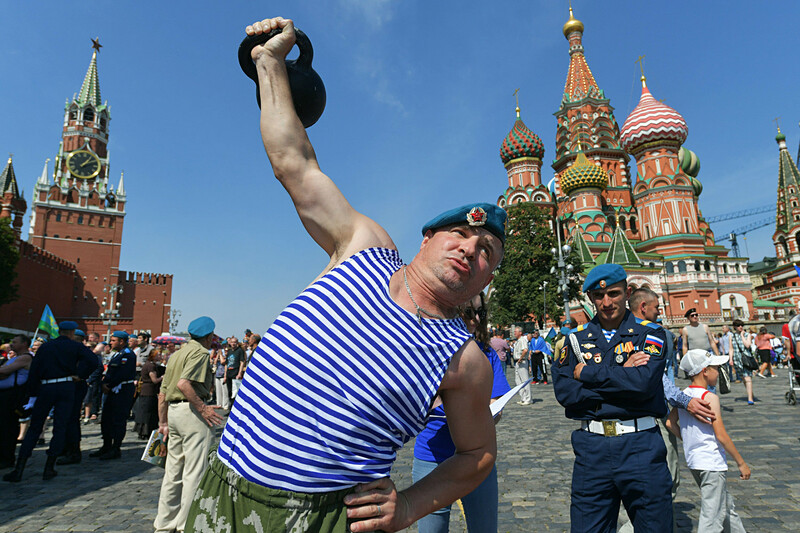 Can a foreigner join the Russian army? Russia’s Defence Ministry allows foreign citizens to join the country’s military if they have no criminal record and speak Russian well. Now "foreign servicemen can participate in operations during martial law, as well as in armed conflicts, in accordance with [the] generally accepted principles of international law, international agreements, and Russian legislation," said a new order published on the Kremlin website. You don’t need Russian citizenship to join the military and, like the French Foreign Legion, serving in the military guarantees a foreign candidate citizenship. You can find all information on the Defense Ministry’s website for prospective candidates, as well as where you’ll find a recruitment office. Why is the Russian army the best? Let’s be honest - it’s not. The country boasts a number of military systems and some equipment that, without doubt, areunrivalled. 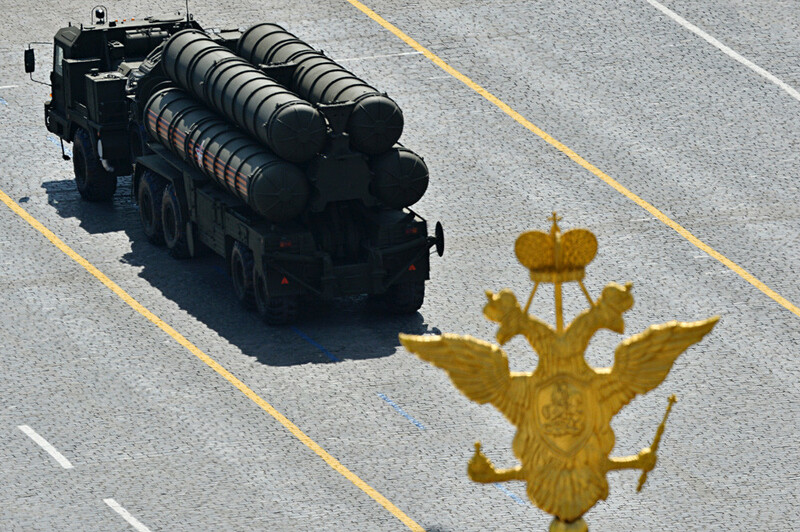 For example, the country’s latest S-400 Triumph can shoot down lightening-fast fifth-generation fighter jets and bombers, and its soon to be released update, the S-500 Prometheus, can even take out hypersonic missiles and objects in close-space. But there are fields where Russian military and industrial complex need to work on. For example, the country’s Navy needs to upgrade or replace old ships. Quiz: What weapons did the Soviet Union fight with during WWII? True or False: Can this happen to you in the Russian Army?